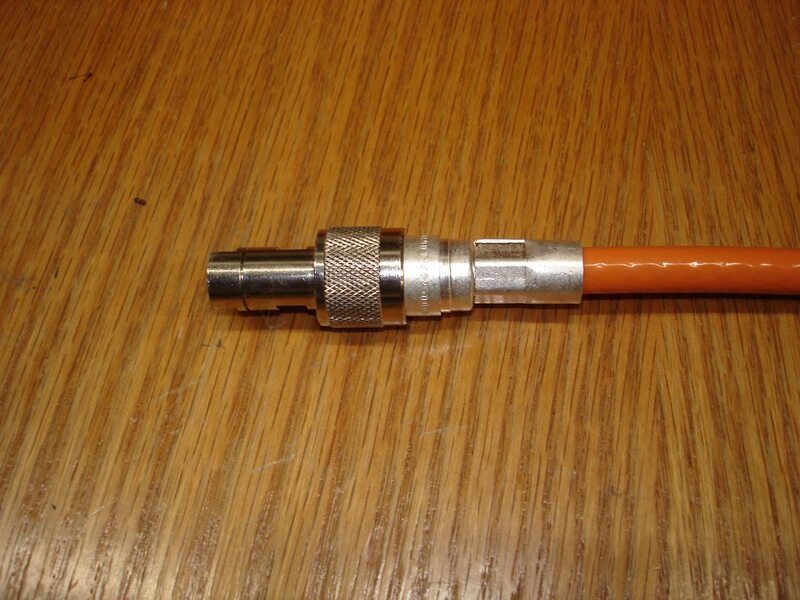 Thicknet/10base5 Ethernet: A Test Setup, Cable and Parts Available! 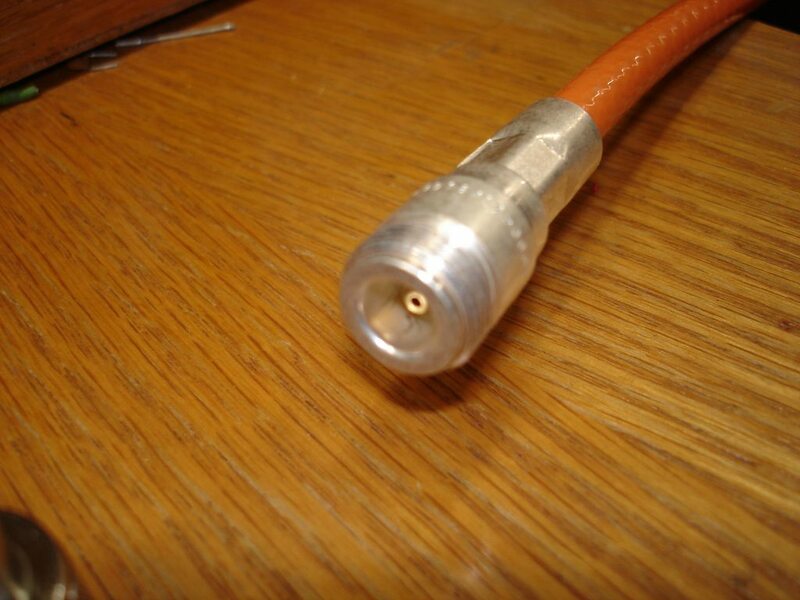 Thread: Thicknet/10base5 Ethernet: A Test Setup, Cable and Parts Available! This is the "far" end, the DEChub 90 relocated to a stack of boxes near the end of the thicknet cable. 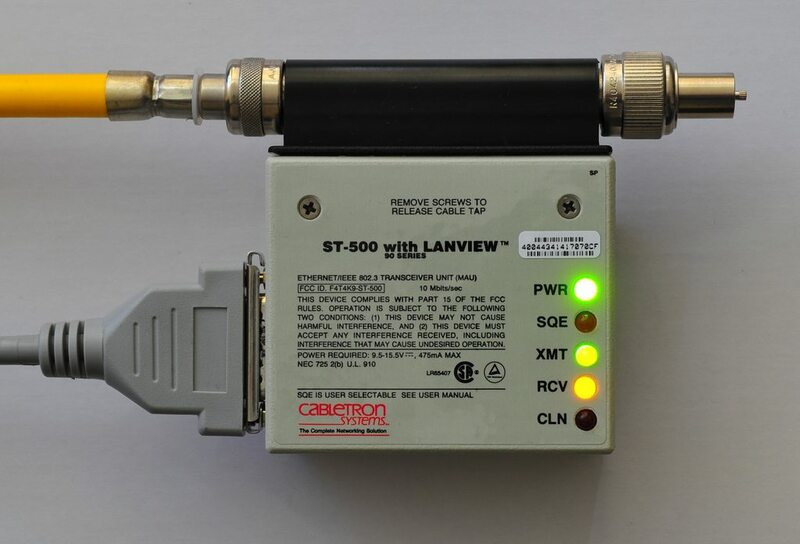 Another Cabletron ST-500 here as well, connected to a DECbridge 90FL module, which provides AUI and 10baseFL fiber. This was too far away from the Cisco 2801 router that the DEChub usually talks to, via a DECbrouter 90T1, so I just connected it to the main network over 10baseT with a DECrepeater 90TS. So, there you go, a thicknet segment brought up in 2018! Required tools include the AMP 228917-1 coring tool, hex key (comes with AMP tool), N connector crimp dies (I used Paladin 2039 dies in a CrimpALL 8000 frame), wire cutters, coax stripper and/or knife, small screwdriver, and heavy cable cutters. 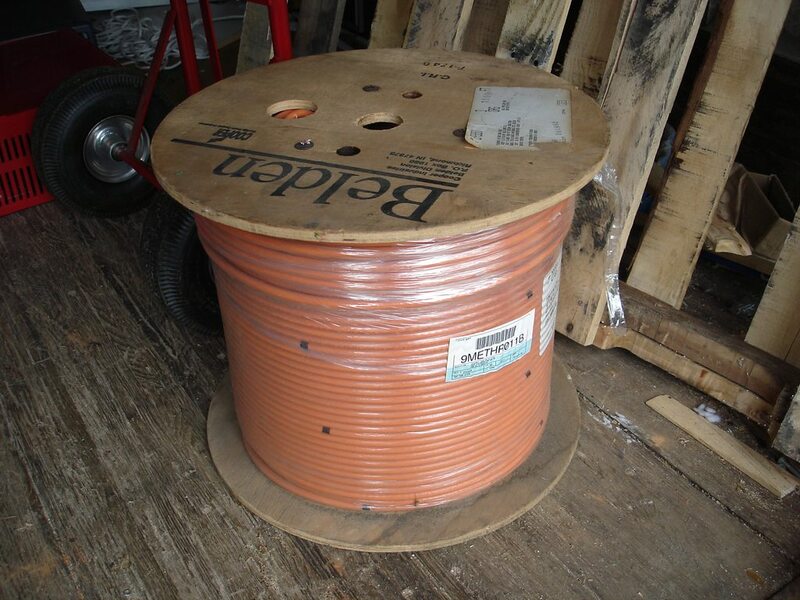 I've got around 1080 feet of Belden 89880 coax, so if anyone is wanting their own thicknet cable, PM me! 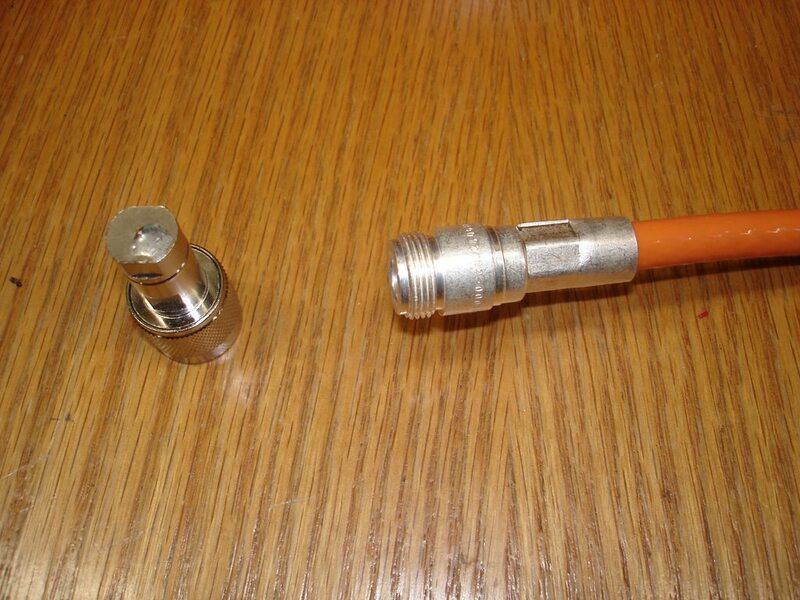 I can provide any level of "kit," from just the cable up to crimped-on N connectors, terminators, and tap kits. 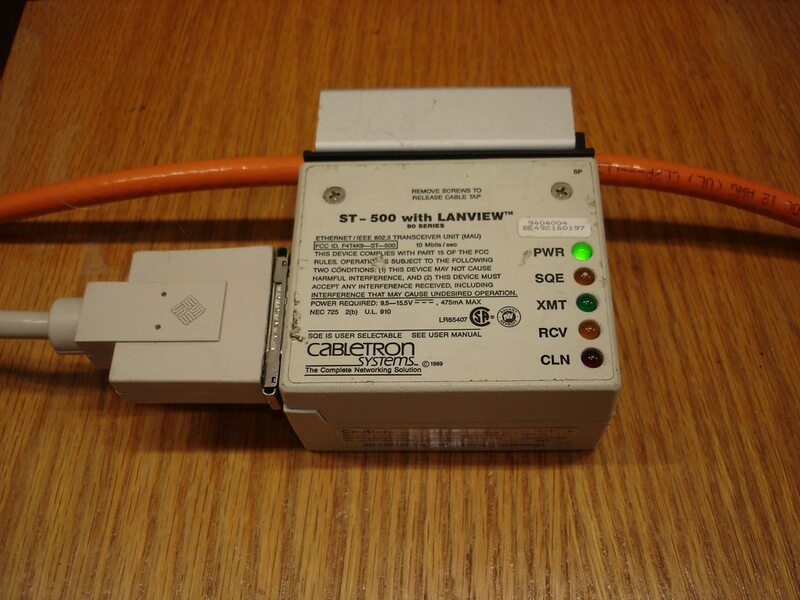 I have a very few Cabletron ST-500-01 transceiver/tap kits new in the box, including the instruction manual. The one thing I don't have a bunch of is AUI cables, but I have a source online that I'm happy to pass on. If you want to install your own vampire taps but don't want to buy the AMP tool for it, you *can* use a drill and a steady hand. Last edited by glitch; June 25th, 2018 at 01:24 PM. Pretty stuff, though. I don't know why I'm hanging onto a garbage bag full of RG-58 (thinnet)--I haven't been able to give it away, even locally. i still keep a few BNC switches lying around. I should build a legacy network. 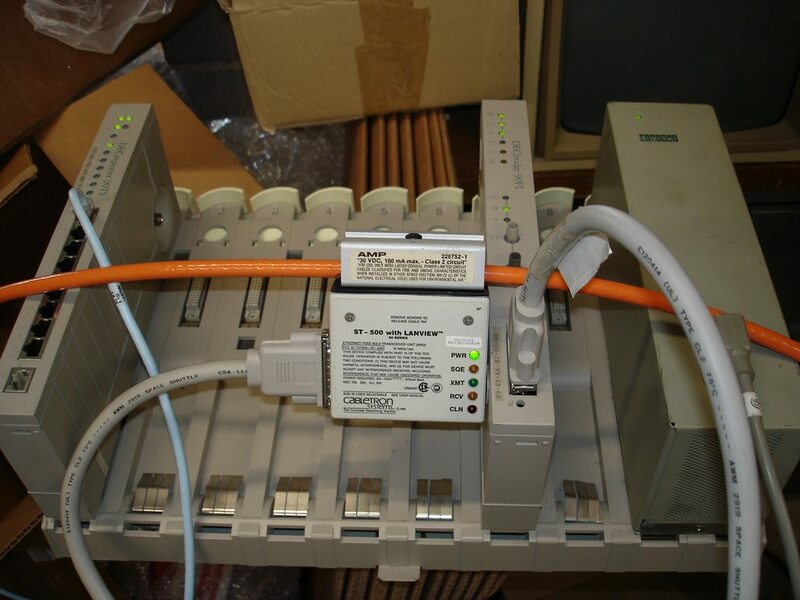 But at the same time Id be tempted to build a type 1 token ring network.. Christ I miss token ring. Remember Olicom? They were my goto for TR cards. I still keep a 3com hub that had coax along with ethernet and aui just incase I go insane and want to relive coax networking (and a few cables). Also have a Tokenring hub along with cards for pretty much all systems (even Nubus mac and Pcmcia for laptops). Not sure how much I would do with either but it sounded like a good idea at the time. I used to have my systems connected via thin Ethernet, and I'd agree with most that the thick version is a much better design. But all that wire. Currently I'm resetting up my token ring network, For the older thick stuff, If I were going to do it, I'd use something like DELNI. Much more compact and practical. But then practical isn't always the funnest method. Was the DELNI actually a hub or a multi-attachment transceiver? I know there *were* multi-attachment transceivers, Allied Telesyn made them, certainly others too. AFAIK they didn't factor in to the 5-4-3 rule, but did mean you could have several AUI drops off one Ethernet tap. I'm mostly just acquiring parts to resell to other hobbyists. I figure, buy in bulk, get the price down, and make stuff that's practically unobtainium in hobbyist quantities generally available to others. People say they're interested in this stuff but aren't able to get the parts to make it happen. I've got the working capital and supply chain resources and space, and I ship a lot of stuff anyway for my day-job. So, maybe vintage network stuff can be like the XT-IDE kits turned out: something that people want, that I can get the price down on, and factor in to what's increasingly becoming part of my day-job anyway! Shhhh. I wanna see where this is going as I think I know where he's going but I was not able to source much beyond cabling last year. Hold his beer for a minute and watch where it goes. I would imagine the stipulated length of the jumper to extend beyond the last node was 2.5M in length. Last edited by inaxeon; November 8th, 2018 at 10:29 AM.